Moruya granite arrives in Canberra! Sunday 9 October saw the National Rock Garden officially welcome its latest specimen: the Moruya granite. This rock is most famous for its use in the columns of the Sydney Harbour Bridge but was also used for the columns of the Sydney GPO and the Cenotaph in Martin Place, as well as the base of the Captain Cook statue in Hyde Park. Kindly donated by the NSW Government, this granite is a fantastic new addition to the Garden. 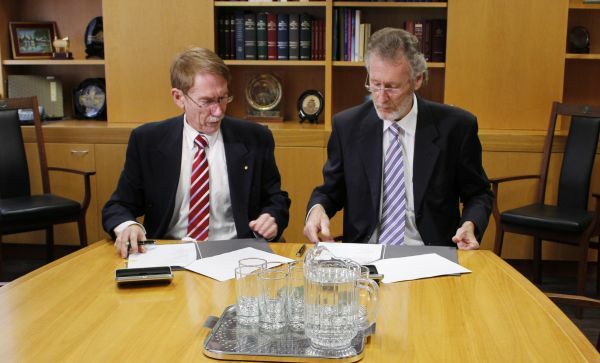 On the 22 April 2013, The Australian National University's Vice-Chancellor Professor Ian Young and Chair of the National Rock Garden Professor Brad Pillans signed the Memorandum of Understanding to establish ANU as an Education Partner of the NRG. This is another great step forward for the National Rock Garden. Vice-Chancellor Professor Ian Young and Chair of the National Rock Garden Professor Brad Pillans. Dr Mike Smith, from the National Museum of Australia, was made a Member of the Order of Australia (AM) in the Australia Day honours list announced on the 26 January 2013. 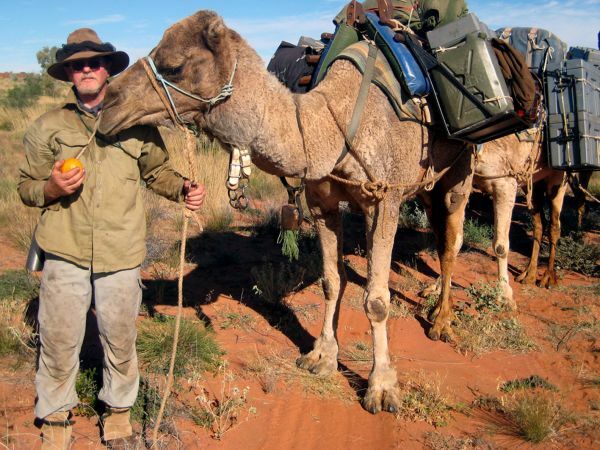 Mike was honoured for “significant service to archaeological scholarship, particularly of the Australian desert regions. Congratulations, Mike!